We manufacture Wrought Iron Gates such as driveway and passage gates, and decorative Wrought Iron Security Doors. Gates can be made from solid wrought iron, or tubular steel for a more cost effective option. In addition to standard wrought iron operating gates, we also install automatic gate opening systems. 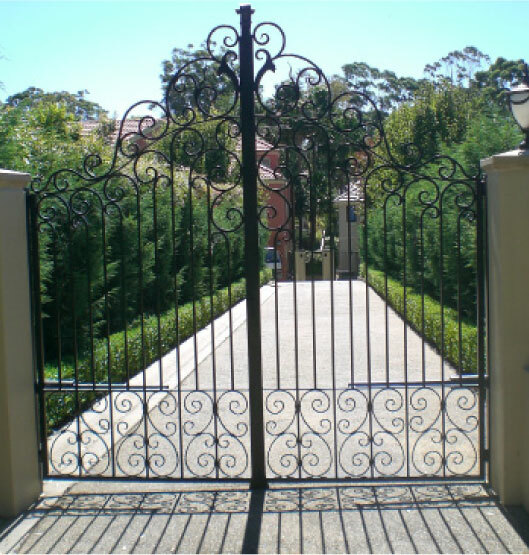 We design and manufacture wrought iron gates for homes and business's around Sydney, Including Western Sydney, The North Shore, Inner City, and South Sydney.